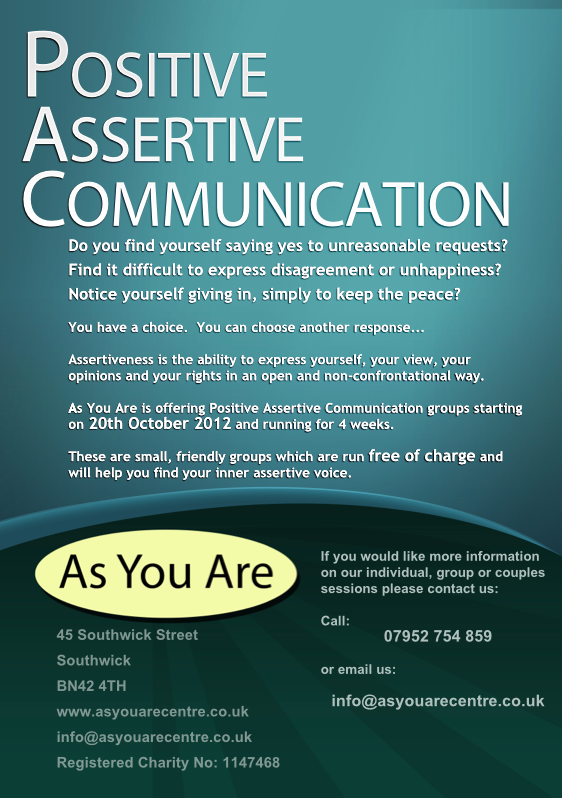 Would you like to be more assertive? Our skilled facilitators will work with a combination of recognised therapeutic interventions to enable the participants to increase their own self belief and confidence and develop more positive ways of relating and communication. Focussing on anxiety, stress and anger, participants will be better able to cope with potential pressure of work or training. Have a better understanding of SMART goals and your own blocks to achieving. Reduce or stop patterns of harmful self medication. Increased self confidence able to use positive and assertive communication.